Our second book, Listen Up! 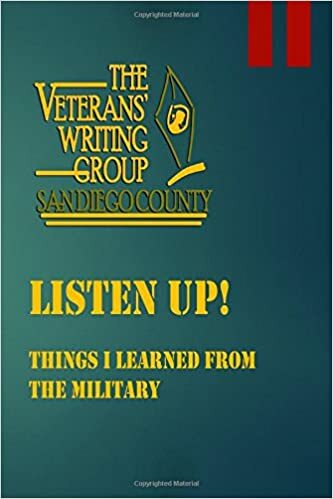 Things I Learned From the Military, is published. Thanks to everyone who made our May 26 launch event such a success. Two of our authors provide more information about the book in an interview featured on CBS8 TV in San Diego. See Listen Up! on Amazon here.